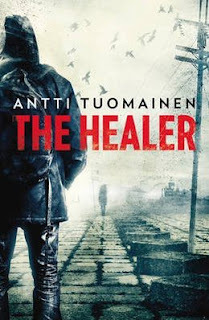 In the first of Antti Tuomainen's novels to be translated into English, we are introduced to Tapani Lehtinen, a struggling poet whose wife, Johanna, has gone missing just two days before Christmas. Johanna is a journalist, and was investigating a series of politically motivated murders at the time of her disappearance. With little help available from an overwhelmed police force in the dark and troubled city of Helsinki, Tapani has no choice but to pursue his own enquiry. What follows is an extremely well-paced plot that keeps the reader hooked right up until the final chapter. Though what really sets this book apart from others in its genre is the atmosphere its author manages to create. Writing with the intimate skill of a poet, Tuomainen brings his unsettling dystopian vision of Helsinki to life. This is a city in decline, whose inhabitants fall victim to the whims of a dark criminal underworld; a city where ordinary citizens struggle to make an honest living; a city where it's impossible to know who to trust. The author's skilful prose demonstrates that the best writing if often that which lets your imagination do the work. Winner of the Best Finnish Crime Novel of the Year Award in 2010, The Healer is a fantastic introduction to a promising new name in Scandinavian Crime.